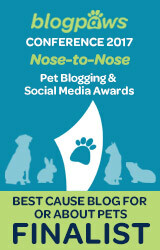 As usual, no one bothered to ask me, HRH Princess Savannah IF I wanted my #BlogPaws swag used as a GIVE AWAY! 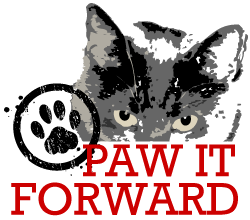 I bet’cha if you sent your human all that way to BlogPaws under your instruction to return with a FULL COMPLETE CAT SWAG BAG, none of them would dare wanna put that swag bag up for a give away! Right? Come on now, tell me I am right! Yeah, so you brought back TWO swag bags for me. What’s the big deal. I gave one away already to my former shelter home Kitty Corner. What’d’ya say under your breath there Mom L? Well, of course I got two bags because Dad P was registered but had to stay home at the last minute, so you collected his too. Now I may not look thrilled but in the end, I am truly pleased to offer a full complete, even over flowing, BlogPaws Swag Bag, with some Cat Writer’s Association swag added in, as a give away for my followers. One—Leave me a comment telling me WHY you read my blog. Only one commenter per blog, BUT that one commenter can return each day until closing and leave a simple “Hello” comment and I will enter the name more than one time. Two—You can enter any time between now and Thursday, July seventh, at NOON PDST by returning to this post and leaving a comment. Three—This give away is open worldwide with this proviso: if the winner is out of the USA, I will remove canned cat food and catnip and catnip toys. I regret having to do this, but it is likely the items will not make it through customs. However, I am happy to work with the winner, should they be from outside the USA, to determine what I can leave in. Four—I will use Random.org to select a winner and the announcement will be on Friday blog post, July eighth. Hope my guidelines are clear as mud…heh…heh! And for those of you who may not know, we have a SUPERIOR CAT GUARDIAN as our house guest—actually we have TWO! Miss Marjorie and Mr Paul from Dash Kitten blog in New Zealand are staying with us before returning home. Of course TKS had to check out their luggage before they could transport it upstairs. Thought I would enter again for one more chance. I read your blog because it’s funny, thanks for making me laugh. Not all your posts are funny, some are serious, I enjoy those too. Hello again. Thanks for the great giveaway. Keeping fingers crossed! Hello. Thanks for the great giveaway! I’m back! Did I win yet? TW says I don’t have enough stuff. Did I mention we read cos we love you?? We will not be entering, as we have far too much swag and would prefer your stuff go to a deserving shelter. We enjoyed seeing your mom and loved her ear-tipped cat ears! Pooh! BFGF, pick me cos TW wouldn’t go and get me one. 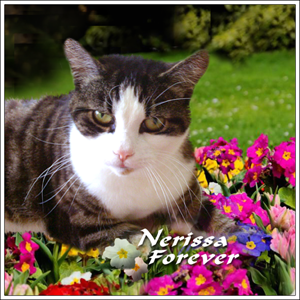 I read your blog cos you’re pawsome and Mom L. does so much to help rescue cats. OMC! That should be OOOOH! not pooh. Oh, and HELLO! 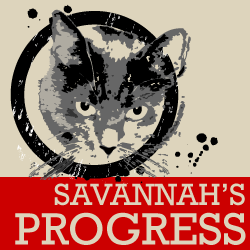 I love reading about the work your folks do to help cats and I like to see your pretty faces. Enjoy your company! Wow wee! A whole complete bag! That’s so cool. No need to enter us in the contest. But btw, I read your blog because it’s AWESOME! So if mee winss thee swag bag could you send thee foodabullss an ‘nip to Unccle Sammy of Sammy, One Spoiled Kat bloggie??? That wood bee a win-win rite Savannah??? Sigh, if only we were cats! No, wait a minute, what ARE we saying??? Savvy, don’t feel bad…the mom is giving away half of our stuff too…and some of it we’re sharing with Chip and Slim. And she won’t let us enter your giveaway because she says we already have too much stuff. Can a cat really have too much??? Sheesh. 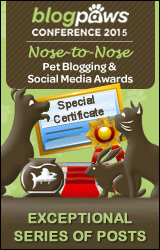 Mom reads your blog to me because it is fun and funny and we learn a lot about kitties, rescues, and pet relationships. Plus we love following along on those kitty help-and-release visits. And then there’s the flat-out cuteness! Well Savvy I think your giveaway is wonderful – the Blogpaws Swag was quite abundant this year! We read your blog because we love you and your parents. You have been a friend for a very long time, and your Mom and Dad do such wonderful work to help the helpless and homeless. What’s better than that? How cool that you have the DashKitten human and her husband visiting!! 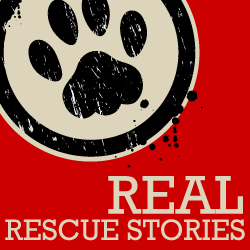 I read your blog because I have former shelter cats, too – and some of their problems resemble those of Savvy. If I should be drawn, do not bother with international sending, give it away to a cat shelter near you – they are always happy for donations. Kessy purrs her consent. Hi, Savvy! What does TKS have to say about your swag bag being given away? Does she feel as you do? Please enter Us for the giveaway. It is so rare that these extend beyond the USA. I love reading the antics of your cats. Of course, I love the giveaways, too. I’ve loved animals for as long as I can remember, and over the years our house has become more and more of a zoo (we currently have three dogs and two cats – down from five dogs and three cats, after losing two seniors and my deaf girl, Ran, from an autoimmune disorder). We’ll be adopting a new cat and dog soon, so I’d love to have a stash of toys and treats for when I bring the new baby home. That way they – and our other two – will have a great distraction until they adapt to each other.